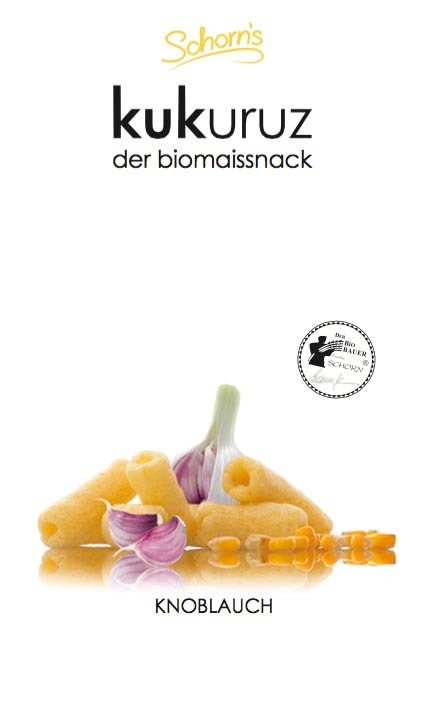 Our recent products made in our in-house production – a trendy Bio-Snack Innovation: local, organic und vegan – scaled back to the essentials, pure flavour. By the way: you are the ones, who have chosen the name! At the beginning of 2016 we did an online survey and „KUKURUZ“ was your definite favourite 🙂 Kukuruz is a traditional name for corn in Austria. From the cultivation through processing up to the production – a local history that starts on our fields and perfectly ends at our organic certified farm in Velm next to Himberg and close to Vienna. That’s what we start with. We are already working on additional trendy flavours! 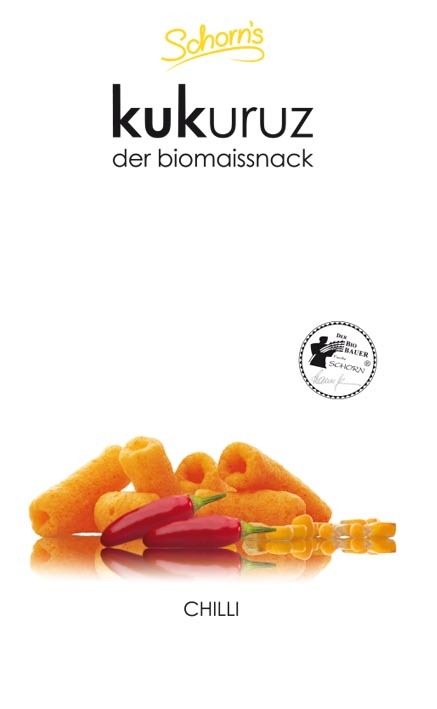 Where else to find our kukuruz biomaissnack in the future? Our kukuruz biomaissnack does not need any food additives. It is lactose-free, vegan, sugar-free and gluten-free. 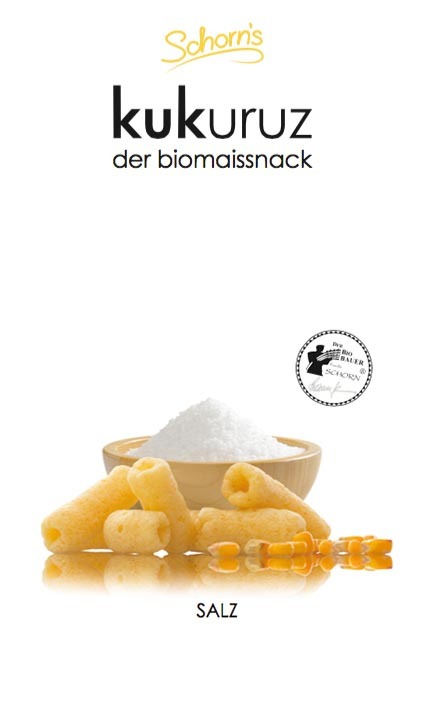 Maize, sunflower oil and garlic from Austrian organic farming, salt. Learn more about our used ingredients – here.